If you’re not a morning person and you tend to stay up late at night, you probably have a pretty rough time making yourself get up in the morning. That, of course, reflects on your physical appearance. You wake up with those stubborn bags under your eyes and wonder if you’re ever going to look rested in the morning. More importantly, that kind of lifestyle affects your health as well and you must act right now if you want to remain healthy, so we will provide you with the beauty tips that will help you achieve that ultimate goal. What has the biggest impact on your health is, of course, food. 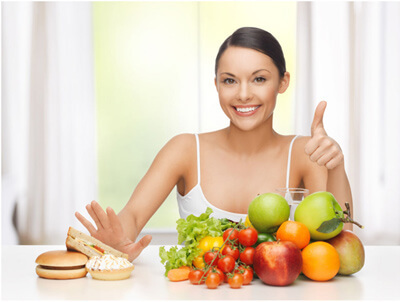 Therefore, you need to have a healthy diet if you want to feel good and look fresh in the morning. You need to take a lot of vitamins through various kinds of fruits and vegetables and try to cut down on fast food. Yes, fast food’s tasty as hell, but it’s not at all healthy, so try to avoid it. Another important thing is to try not to eat much sugar and cut down on the chocolate, as well as dairy products. Apart from chocolate not being healthy for you if you eat it every day, it can also affect your skin and make the annoying acne pop up, and you don’t want that to happen, right? The same goes to consuming too much dairy products. Dairy will impact the skin in that it will make acne and redness appear. The body slowly digests dairy products, so it is the skin that takes a hit. Whatever is happening inside your body, it reflects on the skin and, if your body has a tough time digesting, it will definitely show on the outside. Therefore, a healthy diet is an absolute must when it comes to feeling well and rested every day. Water keeps you hydrated and it is essential to staying healthy and feeling fresh. Generally, you should take in a lot of fluids, but we need not mention how important water is for your health. Develop a habit of drinking water right before you go to sleep, because that will keep your body hydrated during the night. However, don’t go over the edge and drink a gallon of water because you will need to go to the bathroom several times in the middle of the night. Therefore, drink just enough water to quench your thirst and you’ll feel better in the morning. After a while of practicing that habit, you will eventually feel the immense difference when it comes to your overall health and you will feel much better. Drinking a lot of water will also improve the quality of your skin, thus improving your whole appearance, so not only will you feel much better, but you will also look better. If your body is not hydrated enough, your skin will become dry and tight, thus more prone to wrinkles. Therefore, try not to let hours pass before you drink a glass of water. If you’re working all day, consider having a small bottle of water at hand at all times so that you keep being hydrated while working. day if you want to truly rest and not feel exhausted every time you wake up. If you stay up late and need to wake up early for your job, it is likely that you will not be able to finish all your tasks effectively, since you will be feeling tired all day. Stress and anxiety are just some of the factors that can endanger your health when you don’t have enough sleep. A good night’s sleep means good skin quality as well, since the level of stress hormones in your body rises if the lack of sleep occurs and it results in bad skin quality in that it can cause inflammation of the skin. 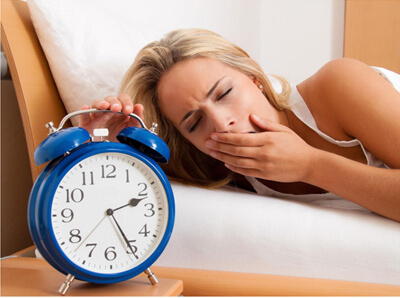 You need to realize the importance of sleep if you want to stay healthy and feel rested every morning. Healthy lifestyle will not only help with the improvement of your physical appearance and your overall health, but it will also help you with your everyday life in that it will make it easier for you to finish your tasks. You can achieve that by following a healthy diet and incorporating a time for exercise as well in your daily routine. When you feel better and look better, everything is easier to accomplish. Simply follow these tips and don’t forget to smile!